How much does a Brake Pads Replacement cost for your car? The cost of a Brake Pads Replacement depends on the type of car you drive. Depending on what kind of car you have, it may utilize between 4 - 8 brake pads. When you step on the brake pedal, your car's master cylinder sends fluid under pressure to the brake calipers (which hold the brake pads). 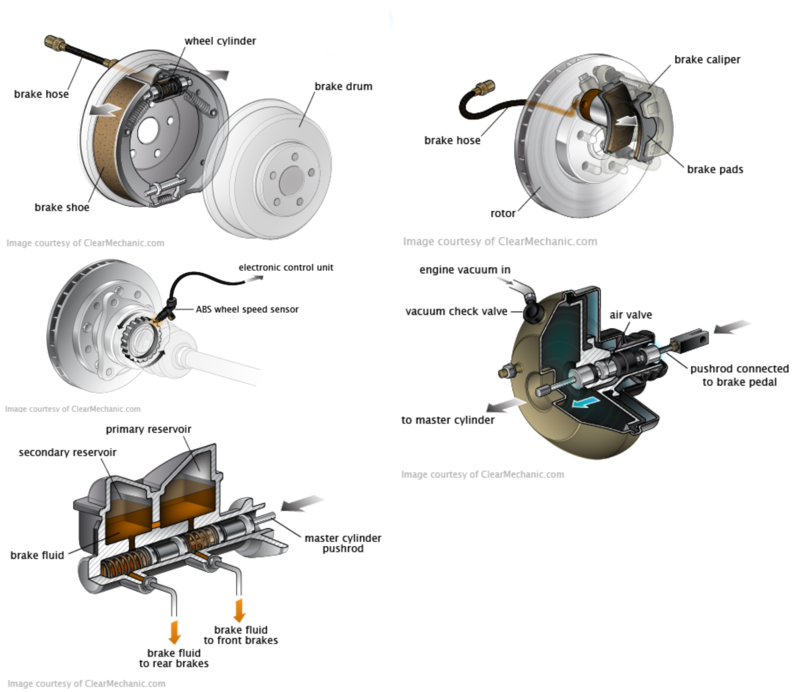 The caliper presses the brake pad against the brake rotor, causing friction that slows down the car. During normal usage of the brakes, brake pads wear out and become thinner. If the thickness of brake pads is less than a quarter of an inch, it is time to change the pads. Depending on where you drive, brake pads usually last between 35,000 - 40,000 kilometers. Some vehicles (e.g. BMW’s, Mercedes', etc) are equipped with a low-pad-warning system to notify you when is the right time to have your brake pads replaced. 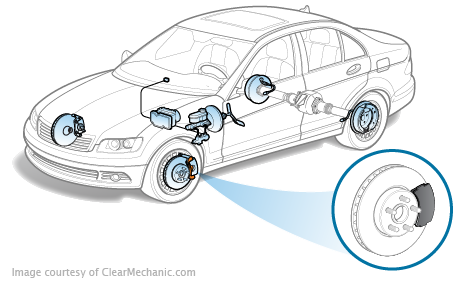 In these situations, the brake sensors will also be replaced as part of the brake pad service. A brake pad is a part of a vehicle's braking system. It's sole purpose is to provide friction on top of the rotor in order to slow the vehicle down to a complete stop. Maintaining the brakes is one of the most important safety features for any vehicle owner and is key to a vehicles upkeep for long term ownership. Unfortunately, brake maintenance is often overlooked by drivers. Maintaining the cars brake system can help to prevent costly repairs in the long run, and can keep the car in the best form to avoid a collision. Furthermore, if this damage is not addressed, it can progress to the point that the brakes are ineffective and might totally fail, putting the vehicle and its occupants in danger. Great experience. Technician showed up on time. Great experience. Technician showed up on time. He was kind enough to explain what he was doing as he did it and what I could look/listen for to understand if my car is performing at it's potential. I would highly recommend this company to any friends looking for a fast, convenient way to save money on your car repairs! Great experience with Fiix. The appointment I scheduled for online was double booked at the same time. A rep from Fiix called me to ask if I could reschedule. I told him that was the only good time for me. The rep called around and manage to rearrange other appointments so that I could keep my time. Very impressed. For the actual service George arrived right on time and answered all my questions. He told me it would take 45 mins to replace my brake pads and he was right on the dot. Will definitely use Fiix again.